The New Francis Francis Y5 duo is the newest Espresso machine from Illy. It is a member of the Pod-machine family, that uses prepackaged pods of coffee to make single servings of espresso so that you can keep your coffee fresh. The Y5 Duo’s key feature is that it can make both Espresso and coffee. The previous Y5 model had the ability to only brew espresso shots with Illy’s IperEspresso capsules. The new Y5 Duo goes beyond that ability. It can make espresso with the IperEspresso capsules, but can also brew a full cup of coffee with Illy’s new Iper Coffee capsules. “Now you can have it all in one machine – Whether you’re in the mood to savor a full bodied espresso or a rich aromatic cup of coffee, the NEW Y5 Duo does both at the touch of a button. This simply designed machine utilizes the highest quality standards including a proprietary brewing technology that never allows the coffee to come in contact with the machine, thus insuring the purist espresso and coffee, cup after cup. The Francis Francis Y5 duo itself is well-made. It features similar LED touch-sensitive technology as previous Francis Francis models. Both the espresso coffee portion size can be programmed so that you can make the exact size you want. The Francis Francis Y5 Duo features a cup rack that can be flipped up. This means that you can use a smaller shot glass for espresso, or a larger mug for coffee. It is a slim and sleek machine with a sturdy aluminum and tempered glass body. It has a 30 Oz. water tank that allows you to make several cups without having to refill it, which is very convenient. The Francis Francis Y5 Duo features a used capsule compartment that the IperEspresso and Iper Coffee capsules are dropped into after the machine is done. This a very useful feature. It allows you to streamline making multiple drinks without having to remove the used capsules between each brew. The compartment holds up to 10 used capsules before it needs to be emptied. The machine also has an energy-saving feature. After 30 minutes of activity, the Y5 Duo enters a power-saving mode, which will definitely save you money. This channel on YouTube reviewed the machine, giving it a very positive review. The video shows the functions and scale of the machine. This is a good reference, but keep in mind that this is only one opinion of the machine, and there are others that are not so positive. Not as Good as it Sounds? Having a combination espresso/coffee maker sounds ideal. The price of around $299.00 is pretty reasonable, considering the dual-functions. However, while this model sounds like a good investment, the customer reviews say differently. Despite Illy’s excellent reputation and track-record, this may not be their best product. Reviews collected from various sites show two very different points of view on the product. Several of the reviews found on Amazon have said that the Francis Francis Y5 Duo is definitely a poorly made product. According to those reviews, the espresso is excellent, but the machine does not allow for a full-bodied cup of coffee. Instead they report that the coffee ends up tasting weak and totally unsatisfying. These reviews also report multiple technical issues. There are a few reviews that complain the coffee does not come out hot enough. This means that they have to heat it themselves to get an acceptable temperature. There are also a few complaints that the eject mechanism for the pods is faulty. This may only be situational, and there is no complaint like this for any other illy model. One review reports leakage issues with the water tank. The reviewer states that even after going through the appropriate channels, and receiving a replacement tank, they still ended up with water all over their counter top. This reviewer also stated that when he talked to the company’s customer service, he was informed that the company were aware of a design flaw that led to the machine leaking. That is certainly food for thought. On the other hand, there are many positive reviews for the Francis Francis Y5 Duo. There are some reviewers who claim it makes an excellent cup of coffee. One review states that they cannot understand why there are so many bad reviews for such a good product. They even go as far as to accuse negative reviews of being spam, meant to direct buyers to competitors’ products. That accusation made us a little skeptical, but we took it into consideration. The final result is that we simply do not know if the Francis Francis Y5 Duo is a good product. There are several positive reviews. But there are also many negative reviews. Those reviews report some serious problems. In the end, we think it is probably better to avoid this product. It may be a perfectly good machine, but if you want to be certain about what you are buying, this is not the safest bet. If you do not mind going through a testing phase, and possibly having to return the machine, then go for it. It may be that the negative reviews are flukes, but we like to play it safe. 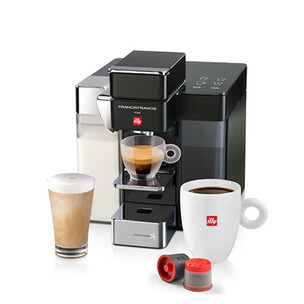 Illy has several excellent models you can choose instead. These include the Y1 and the Y3 model. 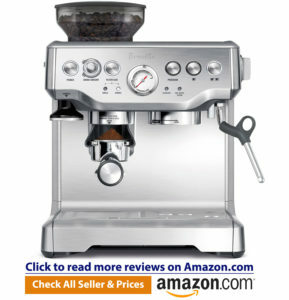 The Y3 model provides the same excellent espresso as the Francis Francis Y5 Duo model, but for one hundred dollars less. The price at around $200 or less definitely makes it worth it. It does not have the ability to brew coffee, but serves up excellent Espresso. 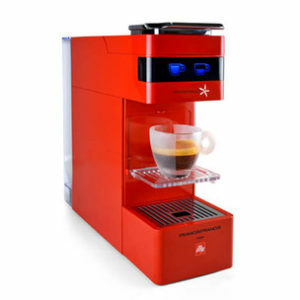 Illy is the maker of the Francis Francis Y5 Duo, as well as many other high-quality coffee machines and coffees. Based in Trieste Italy, the Illy company has been making coffee since 1933. According to their website, founder Francesco Illy basically invented the modern espresso machine. They have been making the “pod” style coffee (similar to K-cups) since 1974. The company is still run by the Illy family, which we think is pretty awesome. 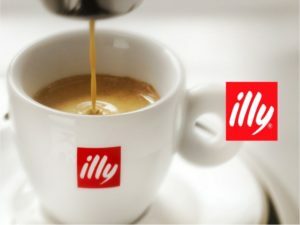 To show just how popular they are,Illy coffee products are used around the world, shipping to 140 Countries. “Ethics. We create and share superior stakeholder value over time through our commitment to improvement, transparency, sustainability, and people development. So, while the Francis Francis Y5 Duo may not be up to our standards, don’t be afraid to try other Illy products. Both their machines and their coffee is some of the best on the market.